Kim Hyun Joong transformed into a ‘flower boy beggar‘. A set of photos were recently uploaded onto his official Facebook page along with the caption, “Flower? Beggar…“. In the photos, he sported messy hair, had dirt all over his face, and even wore worn-out clothing and had on gloves full of holes. 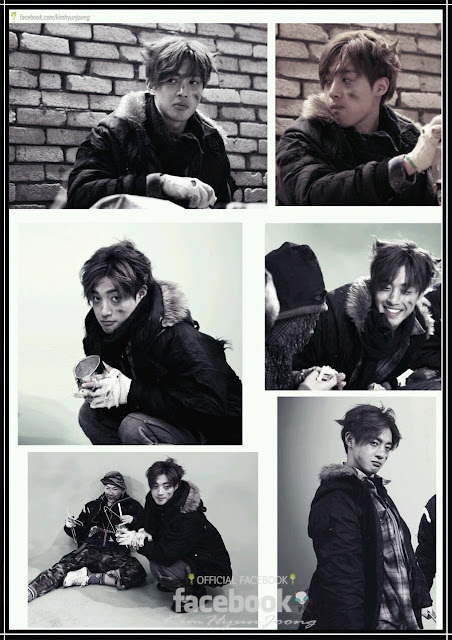 He was holding a money can in one photo and pouting in the others, but also showed off bright smiles in other pictures. He was parodying the popular ‘Gag Concert‘ segment, ‘Beggar’s Class‘, in which comedian Heo Kyung Hwan portrays a good looking beggar and is dubbed the ‘flower beggar’. Upon seeing the photo, fans commented, “Beggars who look like that won’t ever starve…“, “He looks perfect even as a beggar“, and “He looks so cute!“.